The rustic Bear Clocks feature a rust patina background with a brushed metal hand cut face overlay. Made in the USA. 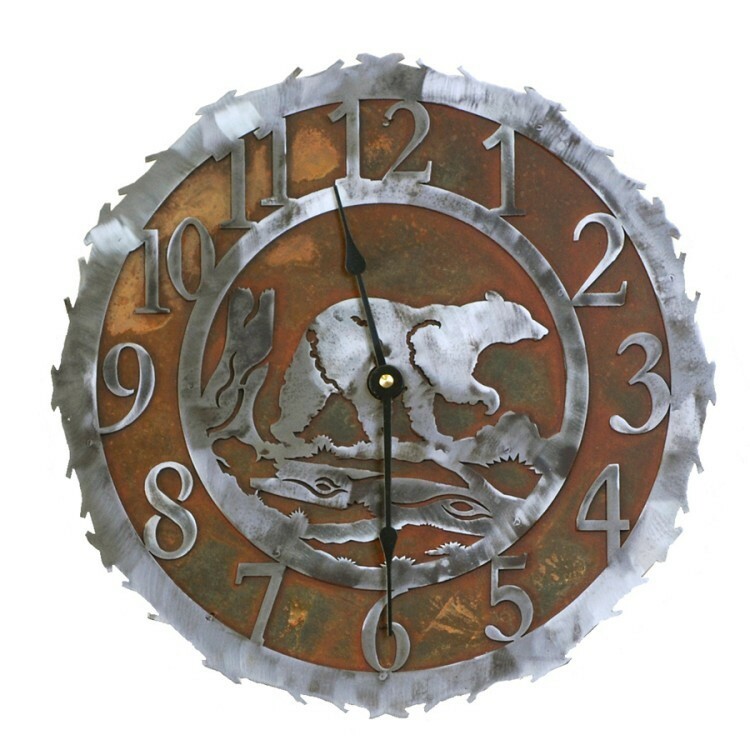 The rustic Bear Clocks feature a rust patina background with a brushed metal hand cut face overlay.